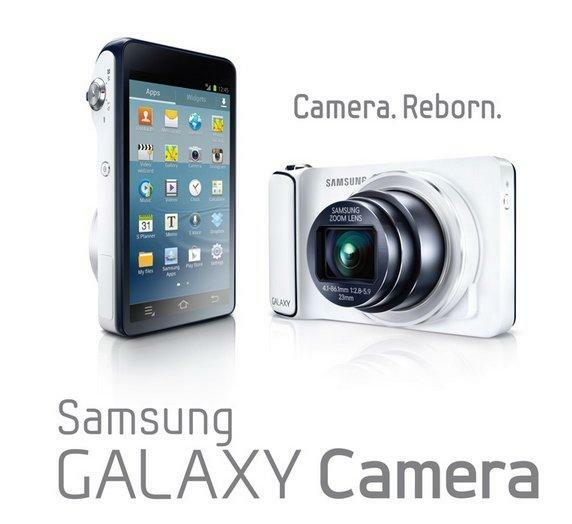 Yesterday Samsung announced a camera that's also a phone. Or is it a phone that's also a camera? Either way it's something new and exciting and it's sure gonna be turning some heads along the way. It's coming out sometime in very late 2012, though I'm guesstimating that it will be more around early 2013. As an OS it features Android 4.1 Jelly Bean with a 1.4GHz quad-core CPU, 8 GB of storage which you can expand via microSD and 3G/4G. Also, it has Wi-Fi, but that's the norm these days anyway. A 16 megapixel BSI CMOS sensor with a 23mm wide-angle lens and 21x optical zoom. All of that is controlled on it's 4.8-inch 1280 x 720 (308ppi) touch screen. This sounds brilliant Jay. I'm going to outright admit that I'd love one of these, cameras were slowly becoming obsolete as phone cameras got better so this is a nice merger. Love the idea! Ever since i have been using my phone as a camera replacement, and since they are getting better every day, i am happy to see that they start do develope something like this! The camera is amazing, just because it OS is Android 4.1 by Google. I got a Galaxy Nexus with 5 mp, the pictures are very low quality (with some exeptions), so with this camera I could take nice pictures and use it like my smart phone. A fact is, a smart phone is only to a small part a phone, the biggest part is that you can use mail, the internet, apps and of course the camera. Using the phone is just a minor task. With this camera you can have a camera with all the things you can do with a smart phone, except calling people, what is really unimportant like I said above; if you really like to phone someone, you can use a app and call your friends for free. So, the camera is really interesting and if the price fits maybe, I will buy one. Couldn't agree more, nicely put!